I'm often asked what my 'favourite' this or 'favourite' that is and alot of the time I don't have a definitive answer. But there are a handful of products out there that I can easily class as my holy grail's. Products that, since finding, I haven't turned my back on, replaced with anything else or haven't yet found better. 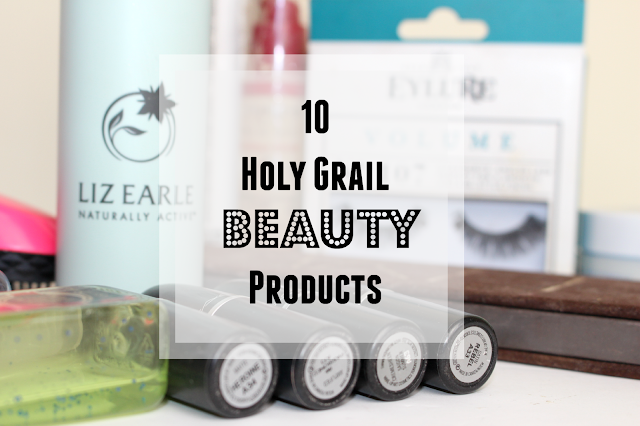 I always love seeing everyones ultimate beauty favourites (as beauty blogger's I mean... it takes alot to become number 1 in someones eyes) so I thought I would share 10 of my beauty products that I just cannot be without! My number one, my favourite, my desert island choice. I love this stuff. I am yet to find a product better than this when it comes to make-up removal and I really do struggle to live without it. I mean, I'm sure most of you have tried this by now but if not I'll give you a quick low-down. Cleanse and Polish is a lovely creamy hot cloth cleanser which you pop straight onto your skin. You then remove it (along with all your make-up) with a wam muslin cloth. I usually use 2-3 pumps depending on how much make-up I'm wearing and I also feel fresh as a daisy afterwards! THE best. My everyday base. Yes I use other make-up primers such as Porefessional and Baby Skin but this is always my first step when it comes to my make-up routine. I'm not a fan of day creams or thick moisturises as they tendd to clog up my skin alot and I hate that feeling. This however is a lovely light moisturiser which really does waken my skin each morning, leaving it feel hydrated and smooth - I couldn't even tell you how many of these I've been through in the last 18 months or so. Duh! What beauty bloggers DOESN'T love MAC lippys! My collection is ever-growing and I don't think I'll eve get bored of the colours I own already. The amount of choice is insane and the quality is just fabulous! Want to know my most worn shades? Then check out my post - here. This is my everyday foundation. The foundation I wear to work, for days out, even when I pop to the shops - I love the coverage and haven't switched back to another foundation in nearly 2 years now! I'm always recommending this stuff and even mix it with my MAC stusio sculpt for girls nights out.I wear the shade Vanilla most of the year. The ultimate holy grail. This is my favourite eyeshadow palette of all time and the one which I always go to as my fail safe. I've had this palette for nearly 3 years now and it has been one of the best Christmas presents I ever got (Thanks Mum & Dad!). and as you can see from the photo - it really does last and last so it is so worth the price. 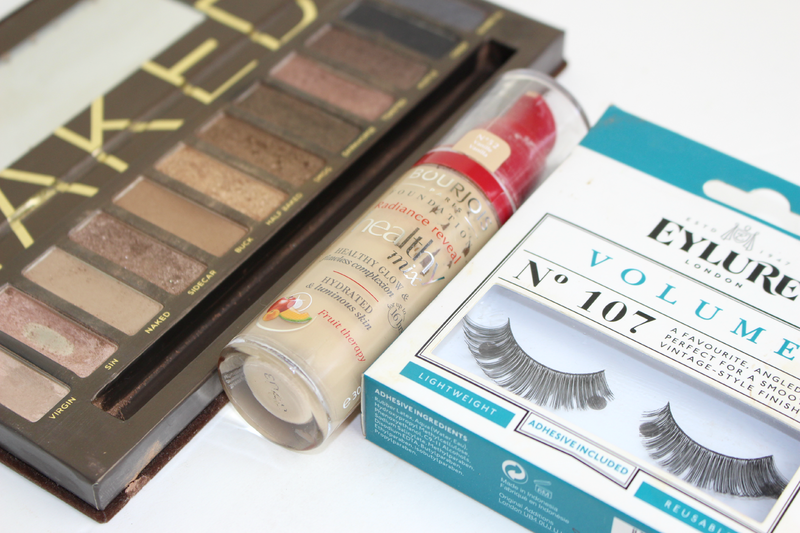 The greatest and easiest to use eyelashes out there. I'm pretty useless when it comes to eyelashes but slowly but surely I've learnt the nack of how to pop these on with ease ..... even after a couple of vodkas! 101 and 107's are my ultimate favourties. The greatest deodrant ever made? I think so. I've used this since I was a teenager and have dared to try anything else since! I've got so many of my friends using this too - no sweating, no smelling.... it's amazeballs. Well.... I couldn't live without these could I?! The amount I have gone through in the last 3 years is kind of embarrassing! Obviously I can't get them here in the UK so each time I have been in the US I have tried to fully stock up! (especially as they are so cheap, I think they are like 5 for $5 - bargain!) The scents to choose from are incredible, I akways have one lurking around in my handbag! Last but not least, my Tangle Teezer. Well.... one of the three that I own... yes 3! I hardly ever use a proper hairbrush anymore, only these. I feel like my hair is so much stronger from swapping over to these plus I don't loose as much hair whilst tugging and pulling like before! A total must. I love my Naked palettes! You've got some great items there, your photography is amazing! I love the Liz Earle Hot Cloth Cleanser, MAC Lipsticks, Tangle Teezer and Bourjois Healthy Mix Foundation! Mitchum is the perfect deodorant! I loooove how it protects from any sort of smells! 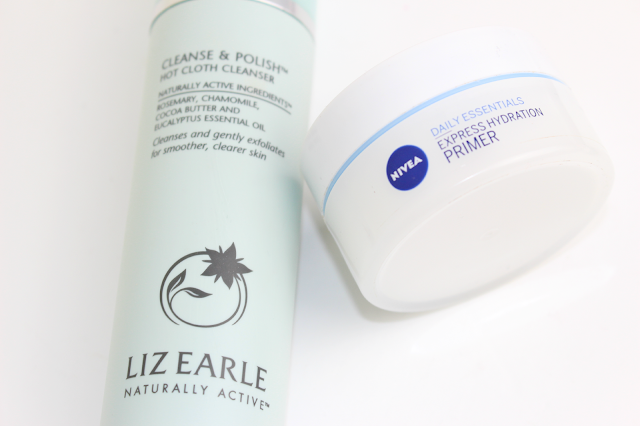 I'm yet to try the Liz Earle Cleanse & Polish but it seems amazing! 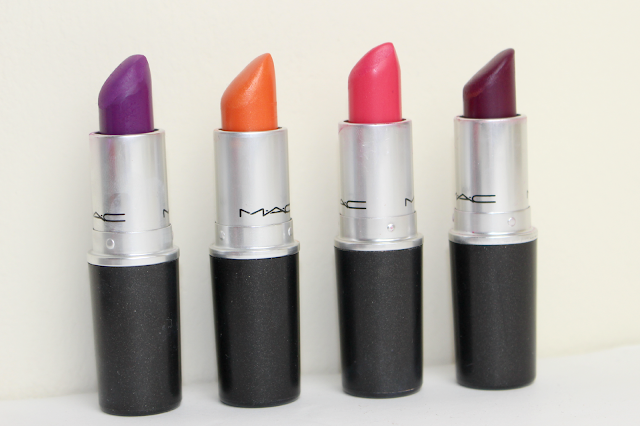 These all sound lovely and I agree with the MAC lipsticks are ones that I will always buy. Urban decay Naked palettes are so amazing, I'm ashamed or maybe proud to admit I have collected them all. Mac lipsticks are an all time favourite of mine. I am no where near to having a big enough collection of them! 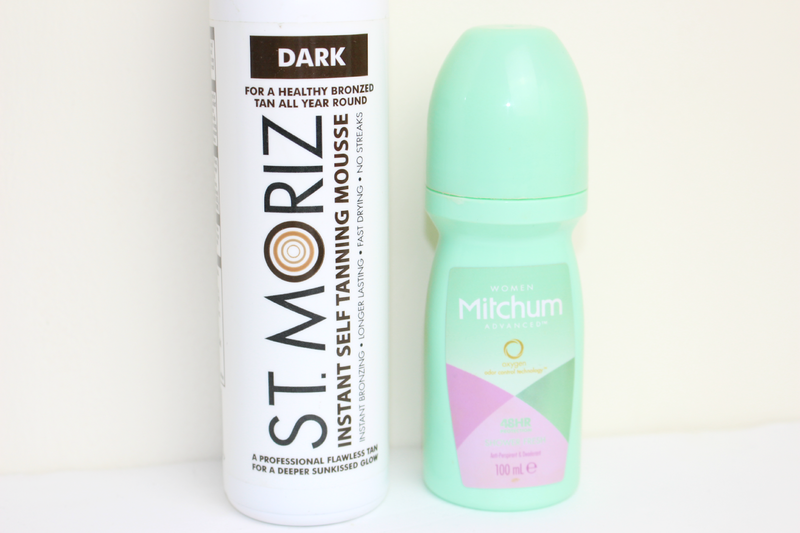 St.Moritz tan is so good, I think it is just as good as St,Tropez and is so much cheaper too! That Nivea Daily Essentials Hydration Primer is a truly underrated product. I honestly don't understand why it's not as popular as it should be! It was one of the very first products I wrote about it on my blog, I felt that inspired by it! Love the Nivea Express Hydration Primer, Naked palette, Mitchum and Tangle teezer! The St Moriz tan is the best, I actually prefer the lotion to the mousse as I find the mousse a bit drying on me! I love this list! You've totally just sold me on the Bourjois Foundation and Mitchum deodorant. Love the Nivea Primer too! I love this post, and see some of my faves in there too!